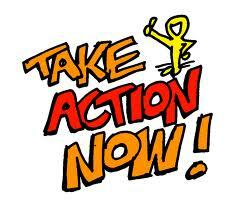 This is a moment when your action is required for your benefit and all the others in dialysis! Quickly, CMS (The Centers for Medicare and Medicaid) has proposed a huge cut to dialysis payments for Medicare patients. They have proposed a 9,4 percent cut to what they pay to providers for dialysis patients on Medicare. Specifically, that means: “CMS proposed cuts would reduce the Medicare composite base rate from $240.36 per dialysis patient per treatment to $216.95 per treatment.” That seemingly small $23 difference adds up to $828 per patient per year. If there are 75 patients in your facility (figuring 25 per shift), that’s sixty-two THOUSAND dollars per year! That’s one or two techs depending on pay and area, etc. It could mean one less Registered Nurse or facility manager! But even one tech lost to these cuts is too many! You can take action (if you haven’t already) to send a letter to your Congress members via the Dialysis Patient Citizens (DPC) website. Also, from DPC: “Follow up with a phone call! We’ll give you the number and the talking points.” For a link to the phone numbers of your members of Congress and what to say when they answer, CLICK HERE. I know it seems intimidating to phone your member of Congress but a receptionist will answer and all you have to do is tell them you are against the proposed cuts in Medicare payments to dialysis providers (see what DPC suggests.) And Ta-Da! You have become an active part of the legislative process! Thanks all, You and I will really appreciate it in the long run if you take some action today! And, leave a comment, to tell me what you did about this very important issue! This entry was posted in activism, dialysis, Dialysis Center, disability, discrimination, kidney, lobbying, patient care, Patient-Centered Care, politics, thoughts and tagged dialysis, ESRD, hemodialysis, kidney, patient, patient care, patient-centered care, social work. Bookmark the permalink. Hi Devon, thanks for bringing this to my attention. I will send a letter. My pleasure, Craig. I’m working on more about this issue so everyone understands why it’s so important. My mentor filled me in on some history of this as it applies to the large-scale and small, independent dialysis providers. Fascinating! More to some this week.